Sometimes, as a blogger, I'm just a little bit spoilt and couple of weeks ago was no exception. 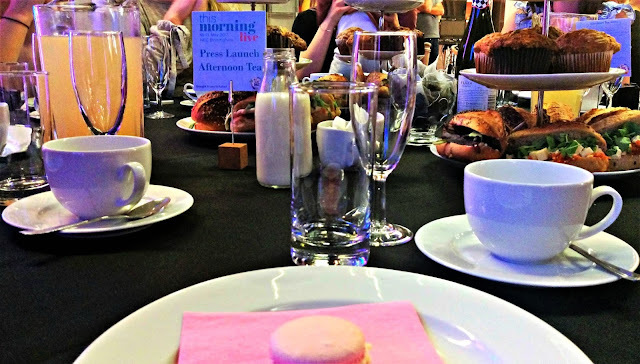 I was invited by Netmums to attend an afternoon tea party to launch the very exciting This Morning LIVE consumer lifestyle event, which will be coming to the Birmingham NEC from the 18th to the 21st of May this year. 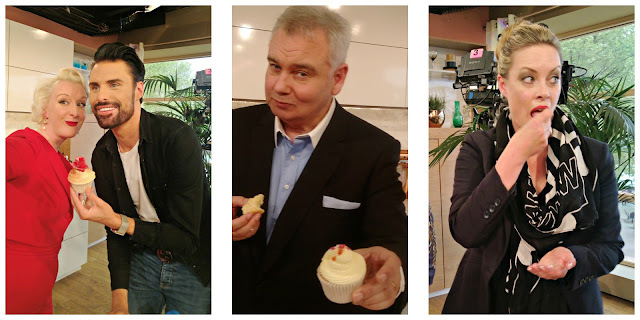 I read 'cake' and was already on my way, but it turned out there were a lot of very interesting people to meet, including many of the This Morning family who will be at the show, and it was really interesting to find out how they felt about this new live venture. If you haven't got your ticket yet, here's a few good reasons why you should, even if you are not an avid watcher of the TV show! As we approached Television Centre, I wondered if I ought to be nervous. I don't often suffer from nerves, at least, not in an obvious way, but there were going to be a lot of familar TV faces there, so I secretly hoped I didn't say anything REALLY stupid. I needn't have worried, though, and this is the important bit of this whole post; all those people you see on This Morning are actually really nice, genuine people. As soon as they all arrived, it was like being in a room with friends. I have often heard the presenters of This Morning referred to as the 'This Morning Family' and wondered if it's just a way of grouping them. Like, I don't know; 'A flock of geese', or a 'troop of baboons', for example. 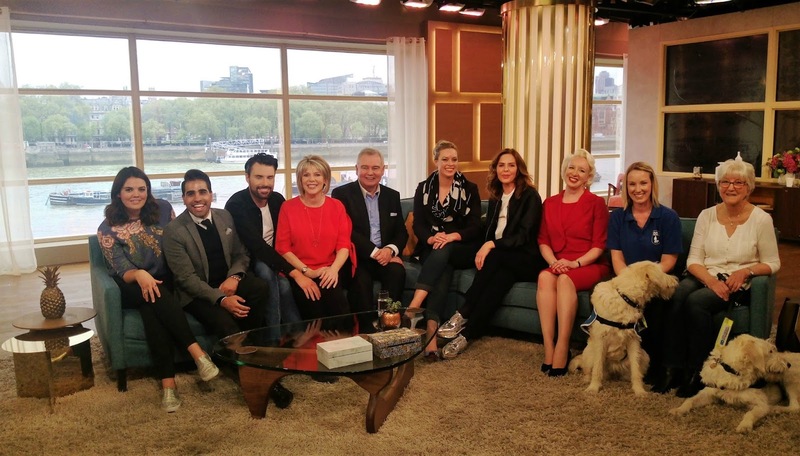 A group of TV hosts would be a 'family of presenters', but, no, it's absolutely true, they are exactly like a family. I realised at one point that I had been talking to Dr Ranj for quite a while about the merits of London and how much my son would love the zoo, before it occurred to me that he's kind of a 'celebrity' and I probably shouldn't be wittering on, like I do on the bus, but he was just a normal guy, not at all diva-ish. Even the presenters you might expect to be a little bit diva-ish *cough* Rylan *cough* could not have been more interested and considerate to the guests. He is also, it turns out, quite the cake decorator, under the watchful eye of Charlotte White, from Restoration Cake. The boys got quite competitive about the cake decorating, unlike Sharon, who wasn't really concentrating, and may have been responsible for the decorations disappearing pretty quick. Caught you! I think Eammon clinched it for me with his iced creation, but that was mainly because he let me eat it! So, why do I think this is going to be a great event? This Morning is a very unique show, in that it encompasses so many different aspects of life and does so in a lively, engaging way. There really is something for everyone and each of the presenters brings their own unique personality to their area of expertise, making it diverse and entertaining for viewers, and adding a certain genuineness that you don't really get anywhere else. The live exhibition will bring the best of the programme into a live format that can't fail to entertain. Some of the different aspects of the live show include; news on the latest hot topics, some inspiring dishes, created by one of the brilliant This Morning chefs, live demonstrations and a host of shopping opportunities. 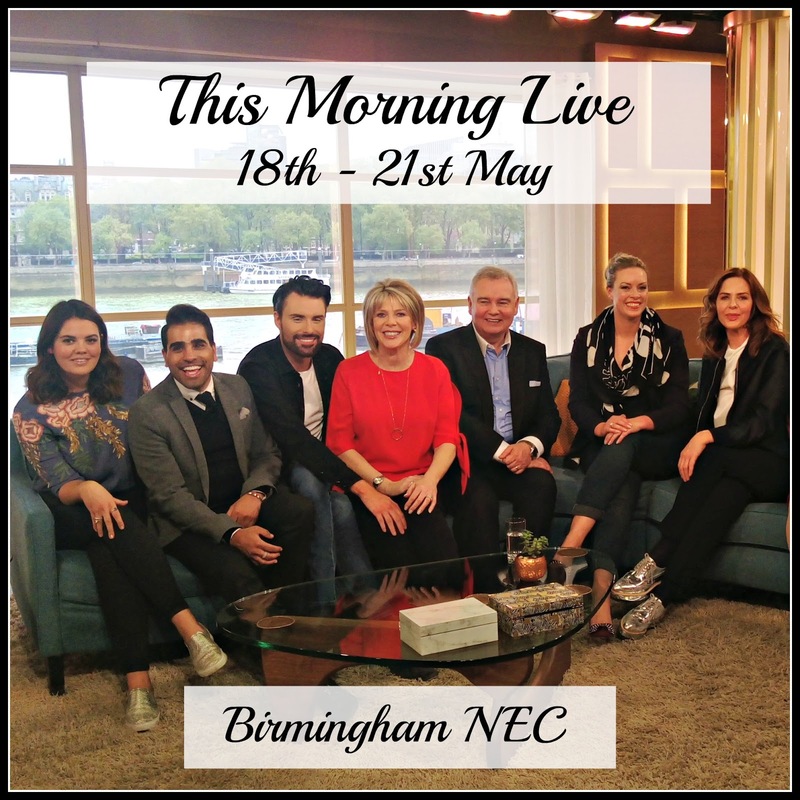 There are no less than 18 members of the This Morning family attending the event across the four days and you can plan your visit to make sure you catch your favourites by checking out the This Morning Live Website. I am probably most looking forward to Trinny Woodall's fashion and clothing slot, which will be happening on the 18th and 19th. I was lucky enough to have a chance to speak with her about what will be happening and it sounds amazing. One of Trinny's special talents is her ability to make women feel good about themselves using, not just clever clothes, but also her own naturally positive and genuine personality. I probably spent five or ten minutes in her company and I briefly explained how hard I've found it sourcing clothes I feel good in, since putting on weight quite suddenly due to illness. In that short space of time, she made me feel so much better about myself, by telling me what I was doing right and sharing my love of a good bra! Her segment is going to involve helping audience members with their own wardrobe worries, including a makeover slot, where the participant will get to keep the clothes. 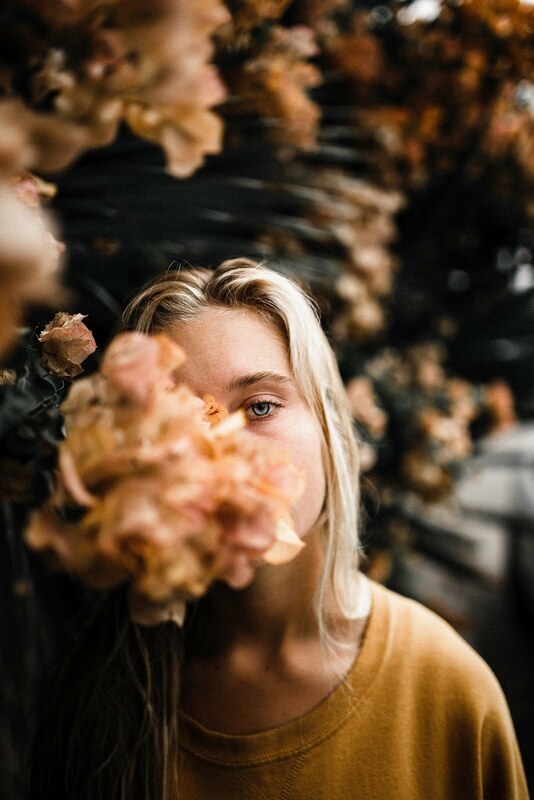 Anyone who worries about the way they look can gain so much from her, from both her positivity and 20 years experience in the fashion industry. I couldn't let this post go by, without mentioning this guy. Seriously, what's not to love? Ok, he makes me look very short, but apart from that. 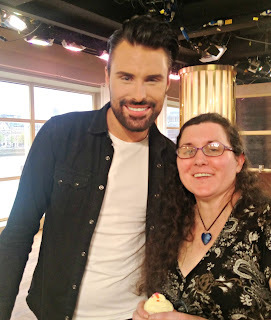 Rylan is so much fun, he always makes me smile when I see him on This Morning and I am so looking forward to seeing how he (and everyone else!) copes with a live show. He can be a little bit... unruly on television. He says it like it is and is famous for his uncontainable excitability and hilarious 'fangirling'. I think the temptation to go completely bonkers and create anarchy in front of a live audience may prove too much. I'm definitely going to be there for that one! It's characters like Rylan who make This Morning what it is, an eclectic mix of personalities that blend, not really seamlessly, more sort-of haphazardly, to create a show that everyone can relate to somewhere. This short video shows my favourite Rylan moment, when his long-suffering hubby phoned the studio to straighten him out and he had no idea it was him! 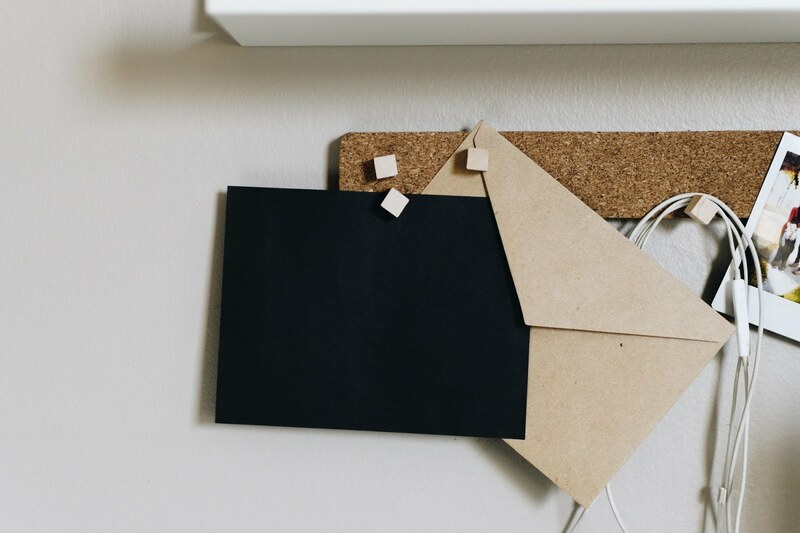 So those are the reasons I will be going, there are lots more, but this blog post is getting so long, it's running the risk of turning into something an Andrex puppy might have a use for. Tickets are available now, from the website detailed above, and I really hope you can make it. I'd like to thank Netmums for inviting us to the press launch and to Everest and Low Salt for sponsoring the event and providing us with lovely food on the day. Everest will be attending as part of the Home, Garden and Pets stage, giving advice on home security. Netmums will also have a stand at the show, as well as joining Holly and Dr Ranj on the main stage to talk about all things parenting, so make sure to look out for them too. Hope to see you there! It was brilliant! If it's successful, hopefully they will do another one in London for you! Just for me? How fantastic! Of course, lol, you could be guest of honour! I bet that was a fascinating experience for you and sounds like a fun event to attend. I'll have to see if I can make it I think. Rylan does make me laugh too. It was so fun! Rylan is just has hilarious in actual life, too! I actually love him! He may be my profile pic for ever! This sounds like a lot of fun Lucy and yay to meeting Rylan! He always seems so lovely on screen. He is even more lovely in person! Looks like you had a really great time - I am going to admit that I have NEVER seen This morning! Wow, that's quite impressive considering how long it's been running! I remember when I was little, it was the highlight of having a sick day off school!